Graduated from Kuwasawa Design Institute Graphic design / Photography and belonged to Harajuku Sun Ad Co.,Ltd. 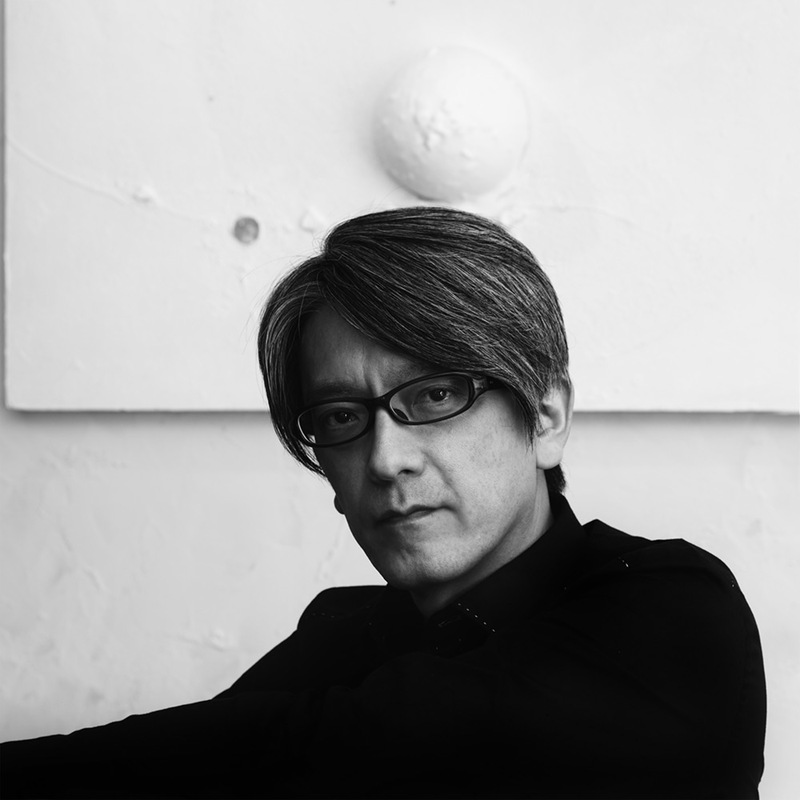 He founded a design office "Calling Co.,Ltd." In 1992 and working on graphic design for many famous musicians. He started his carrier as a Artist in 2007, then visualizes lives in universe with his unique view. The world he creates with stories and paintings is sci-fi and at the same time it’s animism. We produced our original jewelry brand "Gems Seeker" collaborating with SWAROVSKI, and the web site is officially linked to the one of SWAROVSKI GEMSTONES. MarchWe held our brand,GRAVITY launch event at Nihombashi Mitsukoshi main store. NovemberNakaba Kowzu held the talk event ,"GAZE COSMOS" at Enatsu Gallery in Azabu,Tokyo,which works were mixtured the creations of science and technology and the imagination of art. In 2015, kowzu's works were adopted as the front page on the worldwide catalog of SWAROVSKI GEMSTONES. We produced our art unit "the chord" with the journalist "Kenji Goto", and we mobilized 15,000 people holding a traveling exhibition in Tokyo, Nagasaki and Takamatsu. Poem and painting book Star Spinneries release. Story and Computa Graphics book Silent Code release.